7,791 others viewed this post. This is colloquially known as the “Coalsack” as it looks a bit like a black bag. To the indigenous people of Australia however, it was the head of the Emu looking downwards towards the land. An ancient rock engraving of this nebula exists in Ku-ring-gai Chase National Park, and when the seasonal rotation of the nebula matched the orientation of the carved emu – it was the autumnal signal for Australian aboriginals to collect and harvest the eggs of emus to feast on. 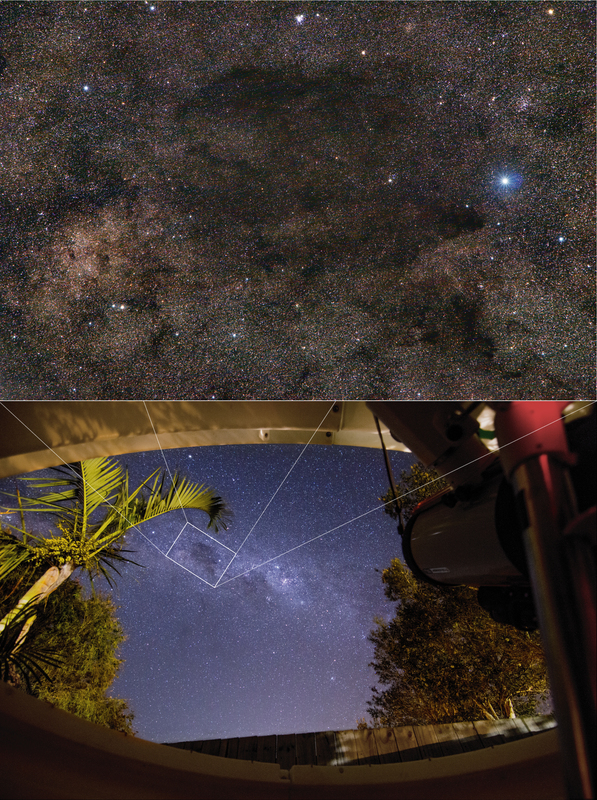 Sadly, it is now impossible to take a photo of the night sky and the engraving together as the light pollution from modern humanity in Sydney has erased the emu from the sky. That is a fitting irony probably with more than a few parallels to think about. Coalsack indeed. 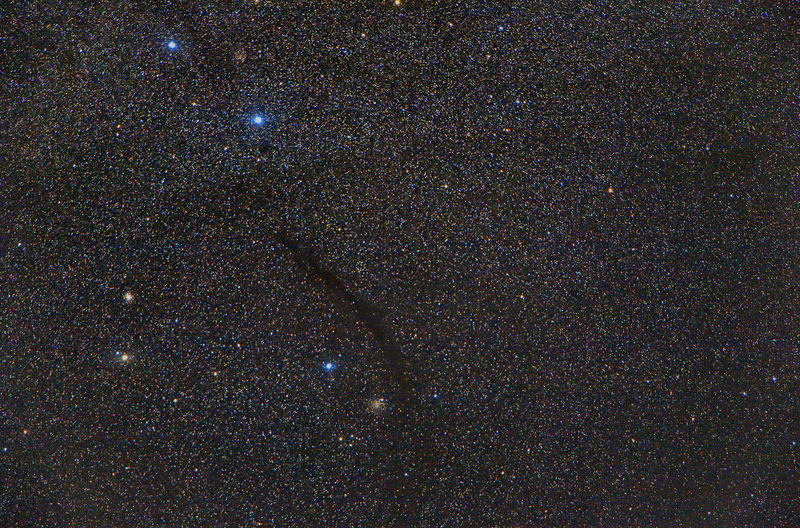 This widefield image is taken with a 135mm DSLR, no telescope. 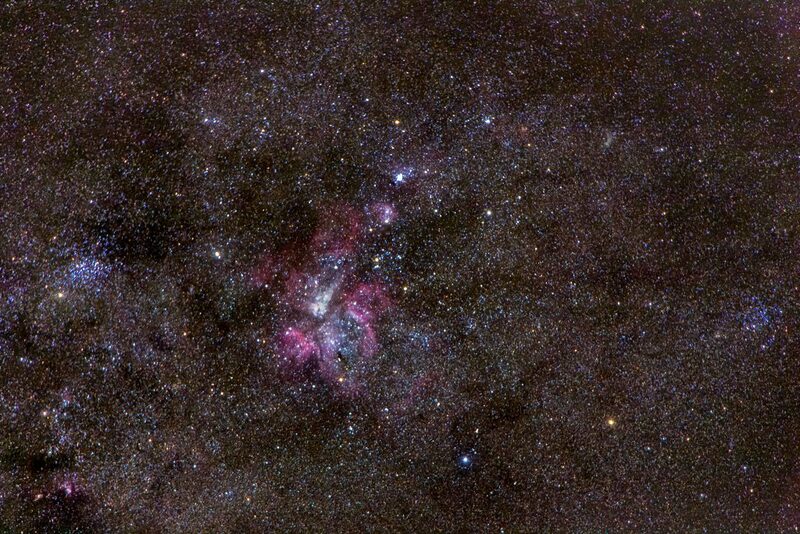 I’ve included below the Great Carina and Dark Doodad Nebulas taken with the same camera and scale. 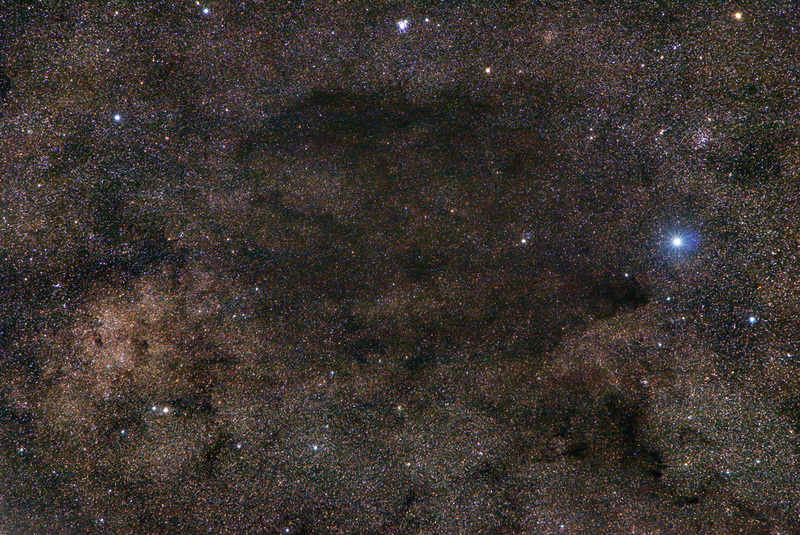 The are both in close in proximity to this one, and a contextual scale image of the Milky Way view to show you just how large the Emu’s Head / Coalsack appears in the sky.